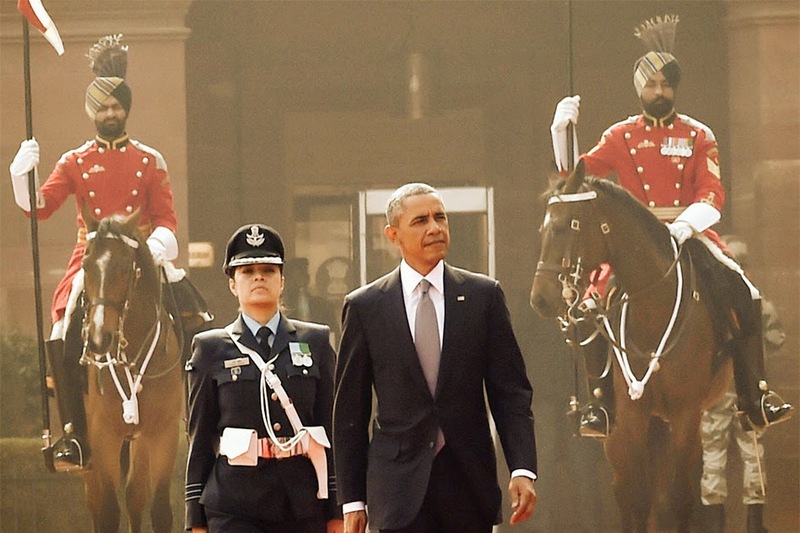 NEW DELHI: “I am an officer first and then a woman,” said a proud Wing Commander Pooja Thakur after she became the first lady officer to lead the Inter-Service Guard of Honour which was inspected by US President Barack Obama at Rashtrapati Bhavan here today. “It is a proud moment to be representing the Indian Air Force commanding the Inter-Services Guard of Honour and that too to Mr Barack Obama,” Thakur said. Asked how difficult it was for a woman officer in the Services, she said there is no differentiation. “I would say that we are first officers, be it male or female. We are just the same. We are given the same kind of training. We are equals,” she told PTI here. Thakur, who joined the Indian Air Force in 2000, belongs to the administrative branch and is currently posted at ‘Disha’, the publicity cell under the Directorate of Personnel Officers at the Air Force Headquarters. Asked how her parents felt when they first heard that she will be commanding the Guard of Honour, Thakur said they were proud.